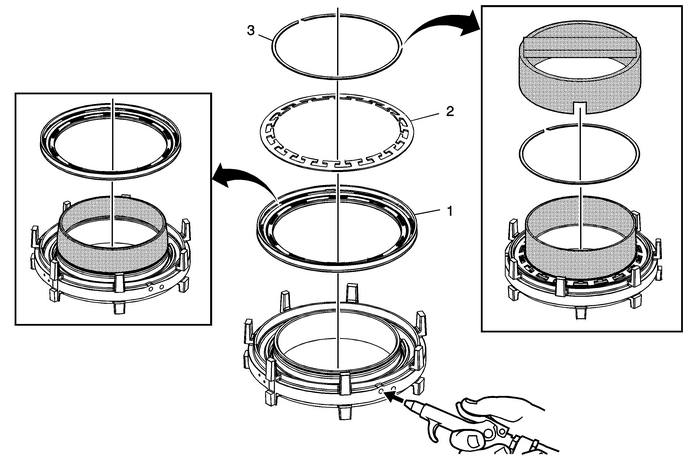 Note:DT-47798 protector prevents the piston seal lip from damage during installation. Apply a thin coat ofATF to the ID of DT-47798 protector to ease the installation of the piston. ProcedurePlace the retainer onto DT-47799-1 which is part of DT-47799 compressor. Compressing the spring using DT-47799-2 which is part of DT-47799 compressor, will install the retainer into the retainer groove.Apply shop air to the clutch fluid feed hole in the clutch housing to verify properpiston operation. 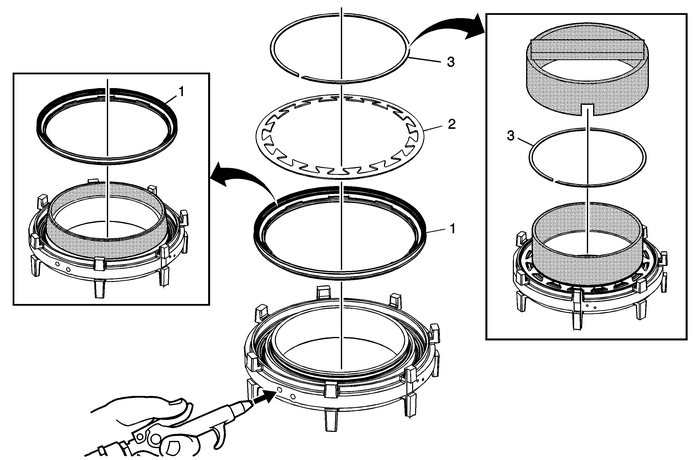 Note:DT-47807 protector prevents the piston seal lip from damage during installation. Apply a thin coat ofATF to the ID of DT-47807 protector to ease the installation of the piston. ProcedurePlace the retainer onto DT-47794-1 which is part of DT-47794 compressor. Compressing the spring using DT-47794-2 which is part of DT-47794 compressor, will install the retainer into the retainer groove.Apply shop air to the clutch fluid feed hole in the clutch housing to verify properpiston operation.